We can find records for pointers from 17th century. 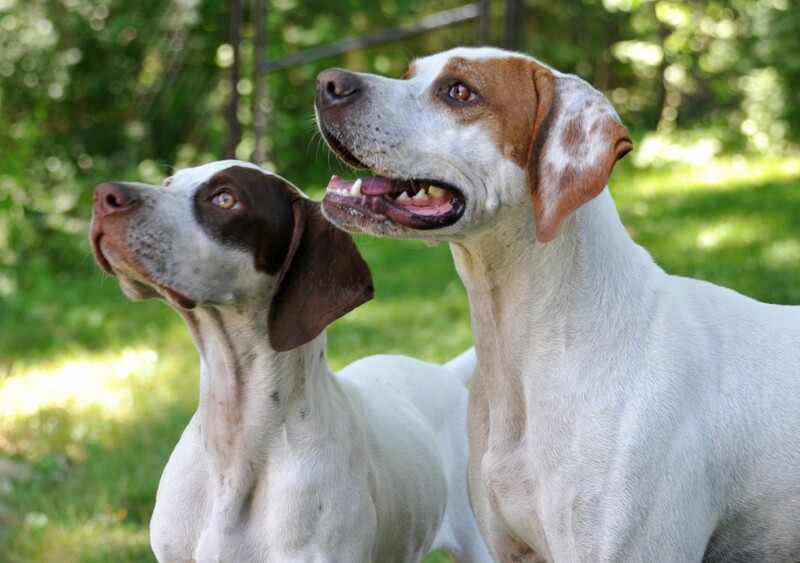 Breeds such as Old Spanish and Portuguese Pointer were set in to England from European Mainland. In 1800s they were brought to America and then they slowly developed their hunting skills and in 1910 they became an excellent bird hunter. In 1936 Modern American Kennel was established and they bred pointers in large quantities. They are very popular in southern United States and are called as "bird dog". Pointers are good in hunting birds like pheasant and grouse. They got their name because of their special skills in hunting. 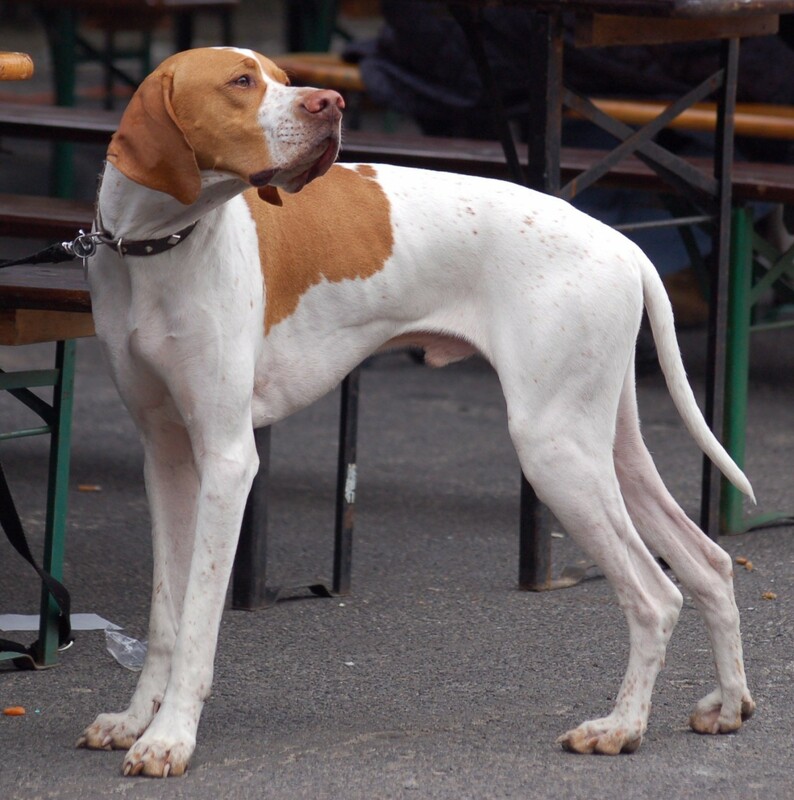 Pointer has a long head and its body is perfectly suitable for hunting. In hunting the pointers shows hunter the direction of the bird and also they will go and get them after they were shot. They are well known for their speed, energy and continuous working. Pointers are also a good companion dog and love the family members so much. It is very easy to groom them as they have short coat. They are very alert and excellent watch dog. If pointer is not set in huntng then they should be given lots of exercise daily. Pointers love to play and run with children. They will give a good company for cyclists. Pointers show their talents in dog shows especially in obedience and field trials. They will not worry about the crowd surrounding them and performs well. In performing at public, pointer will show perfect attention to its master. Pointer must be trained slowly from its puppyhood to get good results. Pointers face health problems such as gastric torsion, hypothyroidism and canine hip dysplasia. Overweight will also lead to many health problems in them. Other problems seen in them are cardiomyopathy, ectropion and progressive retinal atrophy. They have the chances to get several skin disorders which leads to hairfall. Follicular Dysplasia is a hereditary disorder which causes hairfall. Special shampoos or lotion to combat the dry skin should be used to overcome this problem. 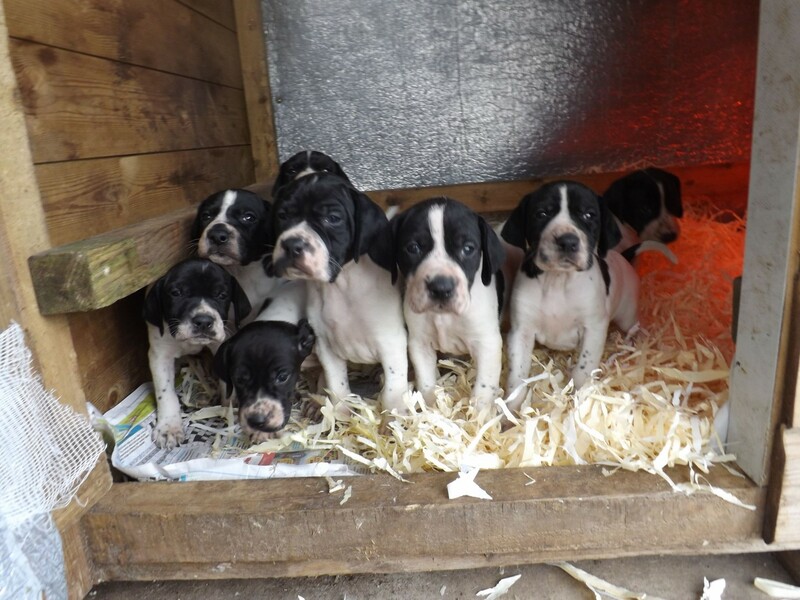 Normally puppies require more food when compared with adult to meet their growth needs. The food given to the pointer puppy must contain vitamins, carbohydrates and minerals. 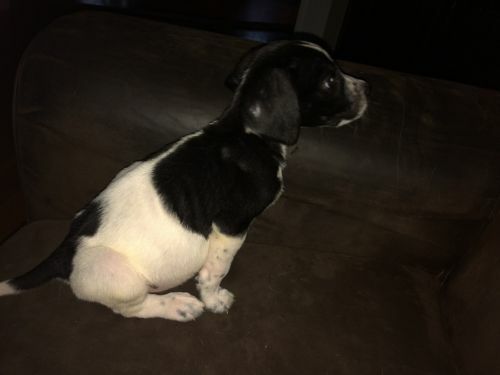 Also the food given to his mother should be continued to the puppy as to avoid digestive problems for the puppy. If it is needed to change the food then it should be done in a step by step process. Pointer can be fed one or two times a day. Usally small meal is given in morning and full meal will be given in the evening. But in case if they will be left alone for the whole day then morning food shall be a full meal. They can be fed meat of goat, pork, fish and woodcock. Brown rice is a good food for pointer. Pointers will be happy if they are always with their family. They enjoy when they are taken outside for playing or camping. Puppies don't need much exercise as adults need. Adults should not be fed too much as it will lead to overweight. When pointer is given proper exercises and training they will be a very good mannered dog. They are very active and intelligent dogs and hence require exercise and training regularly. The breed was developed to be a hunting dog and can work continuously in a day. Pointers should be exercised a minimum of an hour per day. They will be happy to run along with your bicycle and playing frisbee with you. 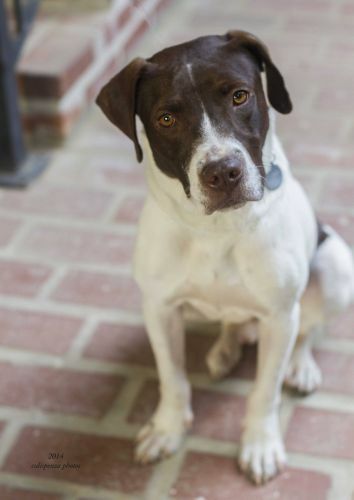 Pointer is a wonderful kid friendly dog and a nice companion. Also he is very energetic,fun-loving and an excellent watchdog. Pointers are very courageous as well as obedient. They can work for a very long time. Early socialization will make them with a good behaviour. They will be happy if they are given a fenced yard to play and spend their natural energy. They will not have a good behaviour in apartment living. Pointers always likes to be with some one in his family. They are suitable for areas having hot weather and they will not do better in cold weather. Pointers have very high intelligence and thus they are very easy to train. Good behaviours must be taught to them and the main word they must learn is "NO". They should stop what they are doing when they hear the word "NO" from you. "Sit" is another important word they should learn. Training should be given friendly and not compelling them to do it. Giving reward to them will make them happy and give more interest in training.